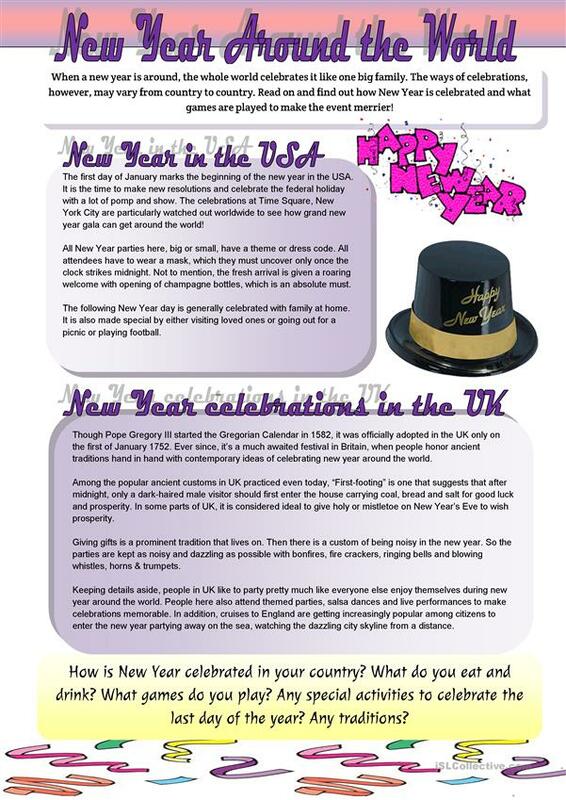 Read about New Year celebrations and traditions in the USA & The UK. Then prepare to talk about your traditions and celebrations (questions on ws). The above downloadable teaching material is best suited for high school students, elementary school students and adults at Elementary (A1), Pre-intermediate (A2) and Intermediate (B1) level. It was designed for working on your pupils' Speaking, Reading and Writing skills. It focuses on the topic and words of New Year's Eve.